The Corvette is the exciting new speed 14 driver that has just been released. When thrown with power, the Corvette will take off like a rocket before the natural glide takes over to send it waaaay down the fairway. Significant fade allows you to trust the finish, so don't hold back! Proceeds from sales of this CFR Corvette will be utilized for select Innova events throughout the year. 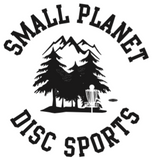 Help us grow disc golf and get the latest innovation in high-speed drivers. You'll be amazed by the speed and glide of our newest distance driver; there's nothing faster!